Dr. Christopher Smith will listen to your concerns and work with you to improve your oral health. Dr. Smith and his team offer a comprehensive list of services including dental exams, teeth cleaning, fillings, crowns, bridges, extractions, root canal therapy, complete and partial dentures, wisdom teeth extractions, root canal therapy, oral cancer screening, and teeth whitening. His team also strives to accommodate same-day emergency dental appointment requests. Dr. Smith received a Bachelor of Science degree in Biology from Georgia State University. 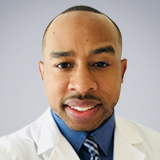 He obtained his Doctor of Dental Surgery degree from Meharry Medical College, School of Dentistry in Nashville, Tennessee, and completed an advanced education in general dentistry residency program at NYU Lutheran in Atlanta, Georgia. Dr. Smith is a member of the American Dental Association, National Dental Association and the Georgia Dental Society. When he’s not helping people smile, he enjoys football, working out, traveling, and spending time with his family. Dr. Christopher Smith looks forward to getting to know you. Call today for an appointment. 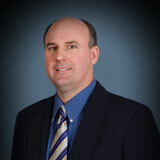 Michael Quinn, DMD, has been a practicing dentist since 1987. He is a Board Certified Periodontist and provides periodontal services to patients starting at age 8. His services include bone grafting, crown lengthening, dental implants and restorations, endodontic surgery, extractions, gummy smile, periodontal disease management, pre-prosthetic surgery, ridge augmentation, root canal surgical procedures, soft tissue graft, and sinus lift. Dr. Quinn graduated from Clemson University with honors and received his dental degree from the Medical University of South Carolina. He completed a general practice residency in the Air Force at Barksdale Air Force Base in Shreveport, LA. Dr. Quinn practiced general dentistry for six years and then pursued a Masters degree in Health Sciences and a three-year Certificate in Periodontology from the Medical University of South Carolina. In 2007, Dr. Quinn retired with the rank of Colonel from the United States Air Force Reserves. While with the Reserves, he served on the Dental Advisory Board, operated a 23-man dental unit, and lectured nationally on dental readiness during war time. Dr. Quinn is a member of the American Board of Periodontology, American Dental Association, American Academy of Periodontology, and the Georgia Dental Association.